As the list of shelved and postponed mining projects grows and miners shift focus from construction to production phases a total of $12 billion has been wiped off the value of Australian listed mining service companies in six months. 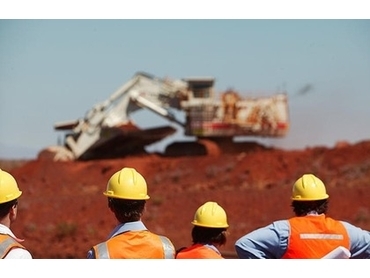 According to research conducted by financial firm Ernst and Young it expects the shake out in the mining services sector to continue over the next 6-12 months as companies adjust to the mining investment slowdown, and miners attempt to improve productivity. "There have been few receiverships or distressed sales at this point, but we expect this to change in the absence of proactive consolidation and rationalisation across the sector," EY Oceania corporate restructuring leader Vince Smith said. "Some companies with lower gearing are well positioned to take advantage in this market." The report found nearly half of Australian listed companies that generate a significant proportion of their revenue from mining related services have issued profit downgrades in the past six months, with a third of these in the past three months. The total market capitalisation of the 84 listed mining services companies has declined 16 per cent from December 31 to June 13; the research shows the sector is now worth about $64 billion. "The reasons behind the downgrades come as no surprise, with the most cited primary reason being deteriorating market conditions, followed by impairment of assets and deferral of projects," Smith said. Australian Mining has previously reported mining service companies well positioned to weather a downturn have diversified businesses, a trend the EY research confirms. “Diversified mining services businesses had been strong performers,” the company said. It estimates about a quarter of all mine contracts are up for renewal this year, and with miners focussed on austerity measures and driving up productivity EY Asia-Pacific mining and metals transactions leader Paul Murphy said those businesses able to diversify and improve productivity would be best placed. EY also found since 2011 the unlisted mining service sector has experienced sizeable growth, estimating there to be between 300-400 significant unlisted mining services players. But mining service debt levels are at the highest the industry has seen, with the current debt to book equity ratio close to 50 per cent. With reporting season looming Smith expects there will be close scrutiny of the sector but warns both debtors and investors to look “beyond the financials”. “Picking winners and losers among mining services business requires looking beyond the financials,” he said. Murphy agrees, explaining the key factors impacting the prospects of mining service businesses in the current market include equipment and people utilisation levels, exposure to various stages of the mining lifecycle, quality of forecasts, contract profiles, and cost reduction options. “The future of individual businesses in the sector – both listed and unlisted – is dependent on a range of factors beyond their forecast profit and capital position. There are growth opportunities there for the right businesses,” he said.